Housing, healthcare and your spiritual life round out the good living in Greater Lafayette. The choices are yours. From upper story lofts to luxury condominiums, downtown Lafayette living puts you in the heart of the city. 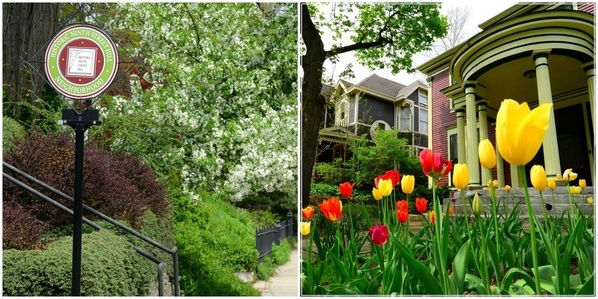 Historic neighborhoods featuring restored homes from the 1800s add charm to your days. Amenity-packed apartments offer carefree living. Country living—still close to town—gives you a taste of nature. Well-planned subdivisions deliver the homes of your dreams. Healthy living means quick, easy access to the best in medical care. As a multi-county regional hub, Greater Lafayette is well-equipped to provide physical and mental healthcare, from primary care to virtually every specialty. Two recently built, full-service hospitals serve the region, as well as walk-in clinics, same-day procedure centers and rehabilitation facilities. For those seeking a space and community for spiritual guidance, numerous practices, services and churches welcome you. Some are traditional, affiliated with larger organizations; others operate independently. In all, 140 churches, a Friends meeting house and two synagogues are among the choices. Many beliefs are represented within our community, the link above can put you into contact with any organizations you may be interested in. Don't settle for good living, enjoy great living. It’s available here in Greater Lafayette.